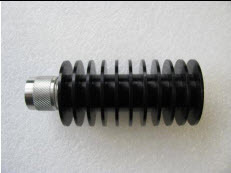 V-LISN, 9 kHz – 30 MHz, 50 µH + 5 Ohm || 50 Ohm, 250 µH isolating choke, 2 x 10 A, BNC connector. Including new calibration certificate. 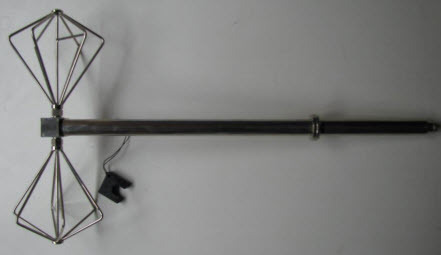 This 56 mikrohenry LISN is a prototype which never became a list product due to no demand. 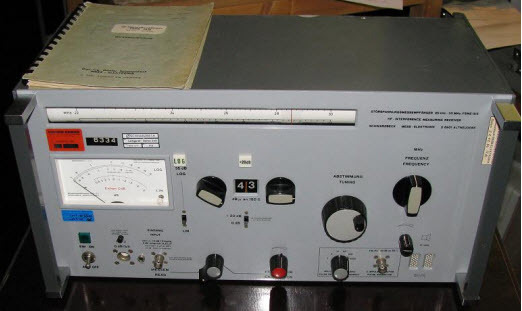 It is built according to JASO D 001- 94, has a frequency range of 10-200 kHz and a max. current of 50 A at max. 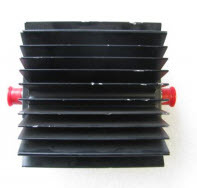 220 V 50 Hz AC. Unit will be delivered with an individual calibration report but without further documentation except for a circuitry plan. 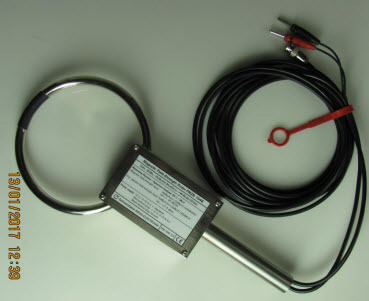 Magnetic field meter 9 kHz – 30 MHz, 20A/m, with separate power supply cable. Conditions: never used. 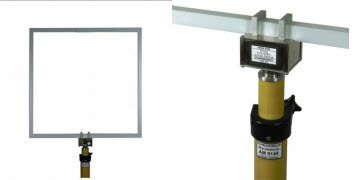 H-Field Transmit Loop VLF/HF, 100 W, dimensions: 0.6 m x 0.6 m, mounting support 3/8” camera thread, two BNC female Connectors, ext. 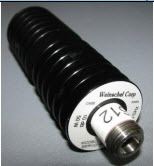 termination 20 Watt 50 Ω included, antenna will be delivered with an individual calibration report. The technology is still up to date. 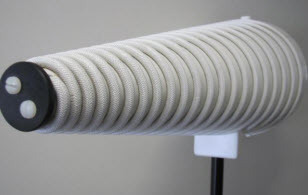 We only have changed to circular antennas because the manufacturing process for circular shaped antennas is easier. 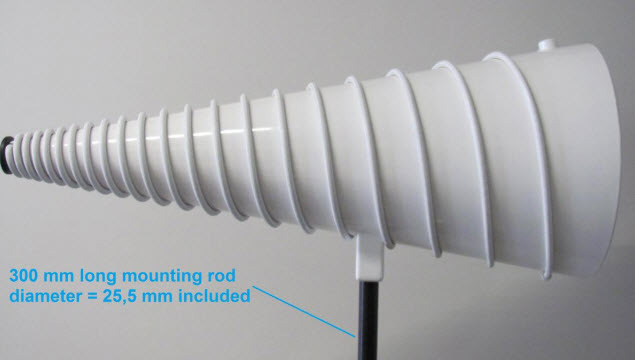 This antenna is new and was the last square antenna we manufactured. 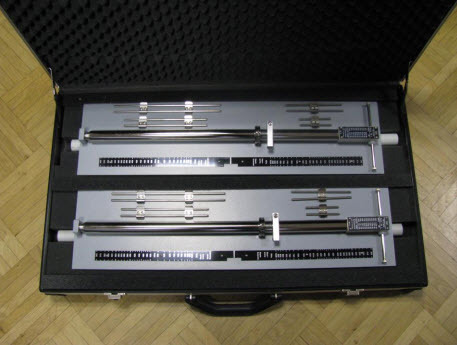 Set of UHF Precision Dipoles 300-1000 MHz Very good condition. 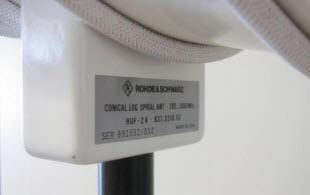 Set also known as Rohde & Schwarz HZ13. Was only used for exhibitions. 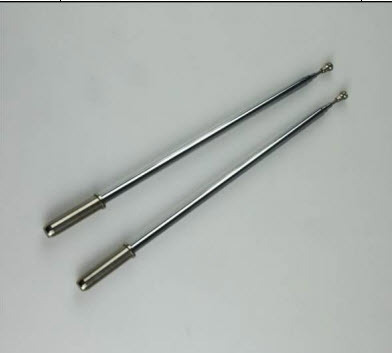 Spare part for VHA 9103 or VHAP: long telescopic elements made of nickel plated brass (today’s version: stainless steel) 30 - 114 MHz. 2 units available. 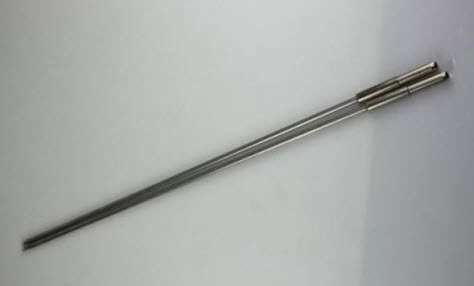 Spare part for VHA 9103 or VHAP: short telescopic element made of nickel plated brass (today’s version: stainless steel) 114 - 300 MHz, 1 unit available. 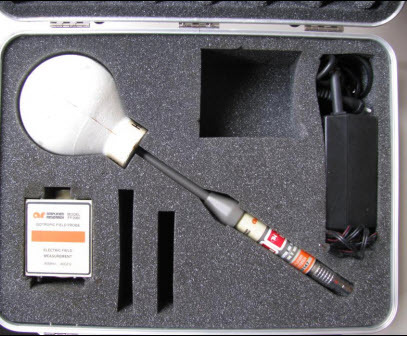 Calibration Pulse Generator for EMI-EMC applications. Pulse repetition frequency: 1-200(209) Hz, pulse shape: almost rectangular, pulse duration: 0.2 ns, pulse polarity: positive/negative (switchable), pulse level (CISPR weighting QP): 0-60 dBmikroVolt in 1dB steps. Max. output voltage across 50 Ohm: 80V - 110 V, unit will be calibrated before delivery. 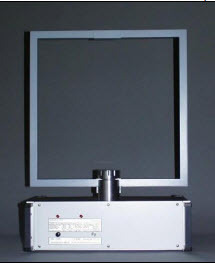 EMI receiver 10 – 150 kHz in 3 bands, QPdetector, unit will be calibrated before delivery. Easy to use robust and precise fully analog EMI receiver for Band A.
EMI receiver 85 kHz – 30 MHz, QPDetector, built in pulse generator. The unit has minor cosmetic scratches and will be delivered with a new calibration certificate before delivery. Easy to use robust and precise fully analog EMI receiver for Band B.
EMI receiver 30-300 MHz, unit will be calibrated before delivery. 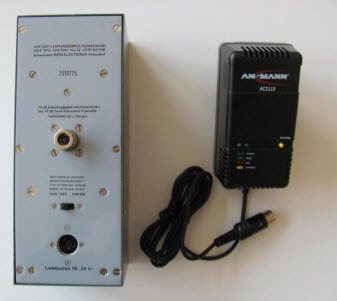 Easy to use robust and precise fully analog EMI receiver for Band C.
EMI receiver 25 – 1000 MHz in 6 bands, QP-detector, unit will be calibrated before delivery. Signs of wear. Easy to use robust and precise fully analog EMI receiver for Band C and D.
EMI-Receiver acc. 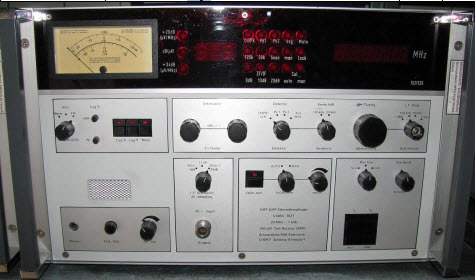 CISPR 16-1, 9 kHz – 30 MHz, 3 Detectors: Quasipeak, Peak, Average, Attenuator with 1 dB steps, Protected Input, Automatic Calibration w. built-in Pulse Generator. No IEEE 488 Interface! The unit will be refurbished and calibrated before delivery. This unit has an extra battery pack. 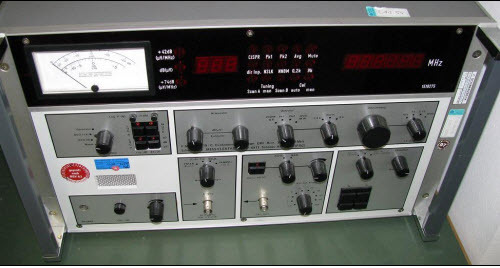 EMI-Receiver acc. 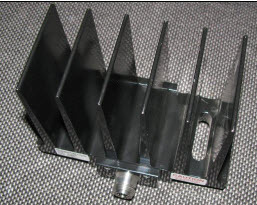 CISPR 16-1, 25 MHz - 1 GHz, 3 Detectors: Quasipeak, Peak, Average, Attenuator with 1 dB steps, Protected Input, Automatic Calibration w. built-in Pulse Generator. No IEEE 488 Interface! The unit will be refurbished and calibrated before delivery. 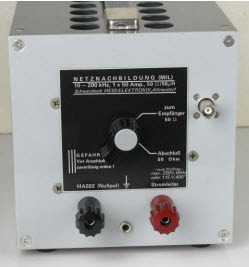 Battery driven High Power Pulse Generator, Pulse Repetition Frequency 300 Hz, weighted CISPR Level 80 dbµV (Quasipeak, 120 kHz IF-BW). 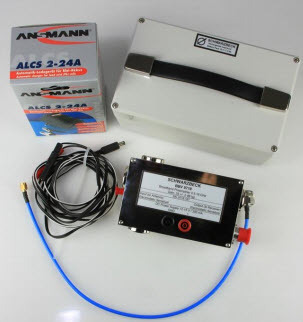 Broad band signal source up to 300 (1000) MHz w. 0.5 ns Pulses of 300 V at 50 Ohm. With new NiMh battery and power supply. The unit will be calibrated before delivery. In very good conditions. 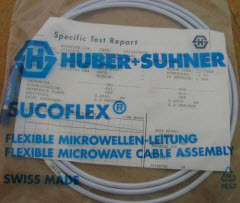 Coaxial cable Huber und Suhner Sucoflex 104, length 2 m, both sides PC3.5 plug, specified and calibrated up to 26.5 GHz, produced in 2004 but still in original unopened packaging with original calibration data. Several units available. 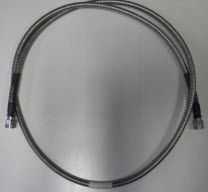 Cable Assembly UFB311A, Ultra Low Loss, usable up to 18.0 GHz, with N-N male connectors, length=2 meters. Several units available. Delivered with a new calibration certificate. 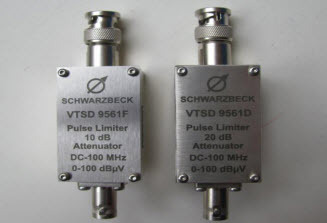 High power 30 dB attenuator, 100 Watts, DC-8 GHz, N(f/f). Strong signs of wear on paint, fully working with new calibration certificate. Several units available. Capacitive coupling clamp probably for EFT / Burst.